Nominate your corporate start-up star! Which corporation do you think works best with start-ups? Today marks the launch of a Europe-wide quest to identify and rank the best global companies to work with – and we want start-up business owners like you to nominate your ‘start-up stars’. At Startups, we frequently share news about the launches of corporate-backed accelerators, start-up investments made by corporations or even acquisitions, and know many of our readers pride themselves on winning blue-chip customers. But never before, has the start-up community had a clear idea of which corporations might be best to approach and work with. Europe’s 25 Corporate Startup Stars is an exclusive ranking that will change that and offer invaluable insight for start-ups looking to scale. That’s why we’re excited at Startups.co.uk to be the official media partner of this significant EU-backed research project. Led by the UK’s innovation foundation Nesta and the Startup Europe Partnership, an EU initiative to help start-ups scale, Europe’s 25 Corporate Startup Stars will rate corporations on the volume and quality of their activities with the start-up community. You have until Thursday March 31 to nominate the global company you think is doing the best job, with the ranking due to be revealed in June. And the events and competitions they host directed at young ventures. The nominees will be judged by an outstanding panel, which includes: Sherry Coutu, highly active angel investor and author of the government-commissioned The Scale-up Report; Edward Wray, the angel investor and co-founder of Betfair; and Bart Clarysse, entrepreneur and chair in entrepreneurship at Imperial College, London. 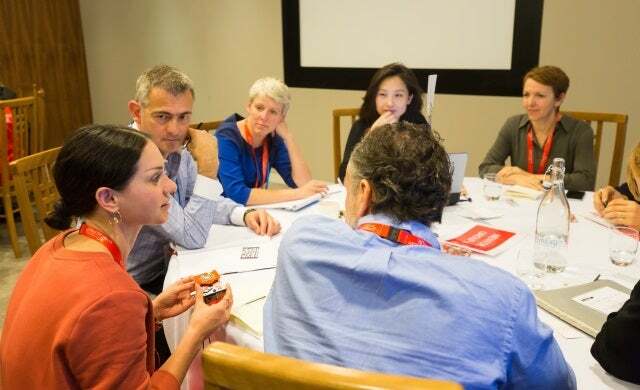 Image courtesy of SVC2UK CEO Summit 2015. This project has received funding from the European Union’s Horizon 2020 research and innovation programme under grant agreement No 644104.